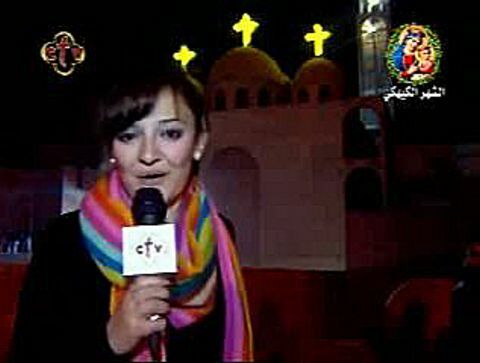 The visions occurred at the Coptic Orthodox Church of St. Mary in Zeitoun, a busy Cairo suburb which lies close to the road taken by the Holy Family during their flight into Egypt. It is interesting to note that the land in which the church stands originally belonged to a family of devout Copts named Khalil. 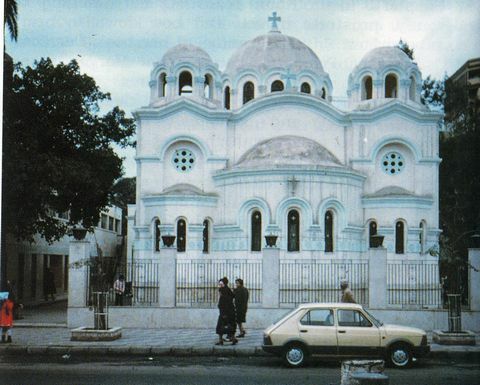 In 1920, one of the family was about to build on it, when the Blessed Virgin appeared to him in a dream and told him to build a Coptic Church in her honor on the site – and that in 50 years she would bless it in a special way. And, 50 years later, Mary was appearing to thousands over this church! 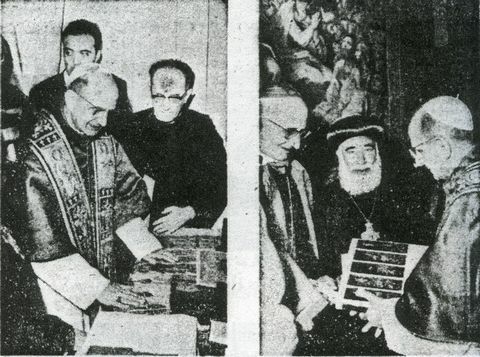 Relations between the Coptic Orthodox Church and Rome, already close in 1968, were further enhanced by the return of the major part of Saint Mark’s relics by Pope Paul VI from Venice to Egypt early in that year. This act of fraternal charity seems to have set the stage for the extraordinary visions of Mary in the following month. 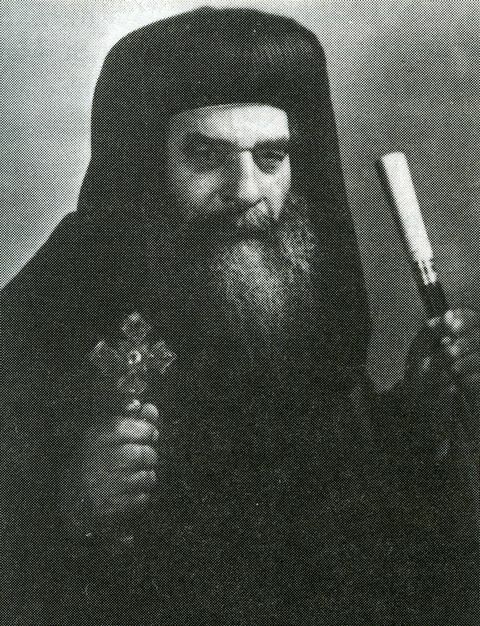 The Virgin Mary first appeared privately to the priest of St. Mary’s church, Father Constantine Moussa. On one evening she appeared in the church on the steps by the altar. When she spoke to him, he fainted and fell to the floor. Being a humble man who did not wish to draw any attention to himself, he did not reveal this visitation until just before he died in 1984. He revealed to the Chairman of the Papal Committee that the Virgin Mary had described the nature of her impending visit with him and had told him, “Be ready!” Little did he know that millions would be coming to this church to see her. 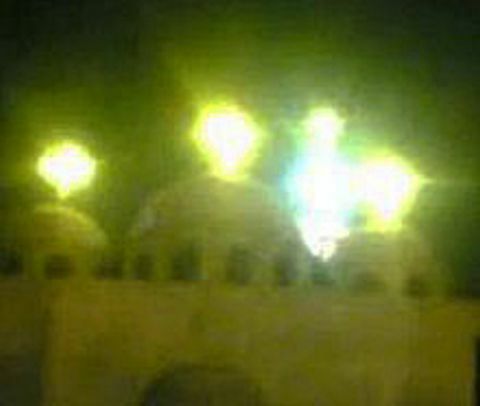 Strange lights begin appearing over the church in this suburb of Cairo. 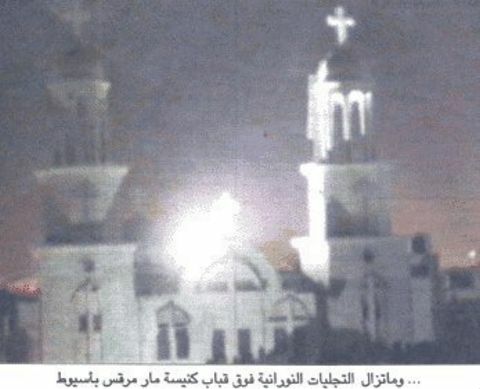 On Tuesday, April 2, 1968, at 8:30 p.m. two Moslem workmen, standing at the gate to their work garage across from the church, were startled by the appearance of a “lady in white,” kneeling beside the cross at the top of the church’s dome. One of the workmen, Farouk Mohammed Atwa, pointed his bandaged finger toward the lady, fearing that it might be a nun about to commit suicide, and said, “Lady, don’t jump! Don’t jump.” Feeling a sense of desperation, he dashed off to call the fire brigade and the rescue squad while others ran across the street to summon the priest, Father Constantine. At that moment, the lady rose to her feet, revealing herself as a luminous being, dressed in shimmering robes of light. One woman cried out, “Our Lady Mary!” At that moment, a flight of glowing white doves appeared from nowhere and hovered around the apparition. Then everything faded away into the dark sky, leaving spectators below speechless. Farouk Atwa’s bandaged finger was full of gangrene and due to be amputated the next day. But when he arrived at the hospital the next morning, the surgeon was astonished to find his finger completely healed – the first recorded miraculous healing in Zeitoun. Exactly a week later, there was another apparition, then another and another in rapid succession. 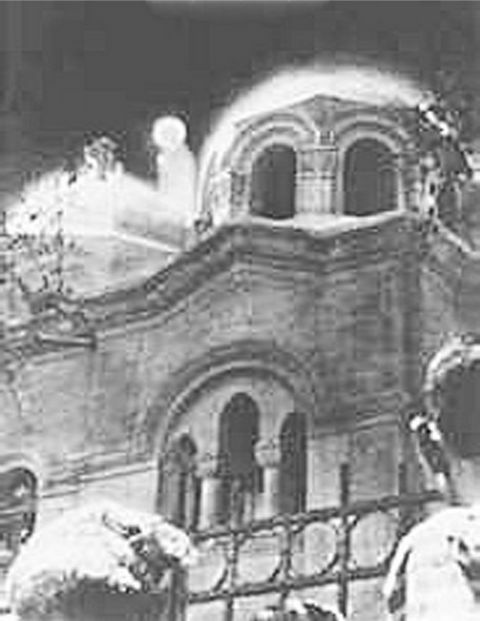 They always took place at night and were generally preceded by mysterious lights, flashing silently over the church like a canopy of shooting stars or “a shower of diamonds made of light.” Minutes later, formations of luminous doves would appear and fly around the floodlit church. 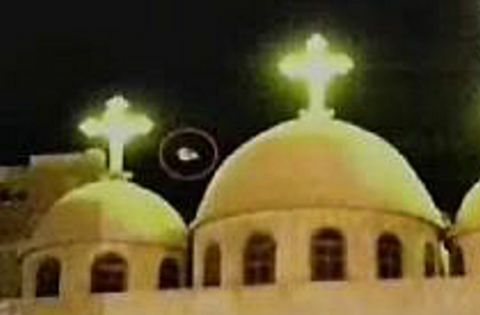 Eyewitnesses described them as “strange bird-like creatures made of light” which flew with “astonishing swiftness without moving their wings.” They always maintained a definite formation and then disappeared “like melting snowflakes.” Shortly after, a blinding explosion of light would engulf the church roof. As it diminished it would shape itself into the brilliant form of Our Lady. She would be seen in a long white robe and veil of bluish-white light. The stunned spectators below could see her garments blowing in the warm night breeze. A dazzling halo shone around her head. Her radiance was so intense – “like the sun in human form” – that it was almost impossible to discern her features. The vision would glide with effortless ease across the domes, bowing and greeting the amazed crowds below. 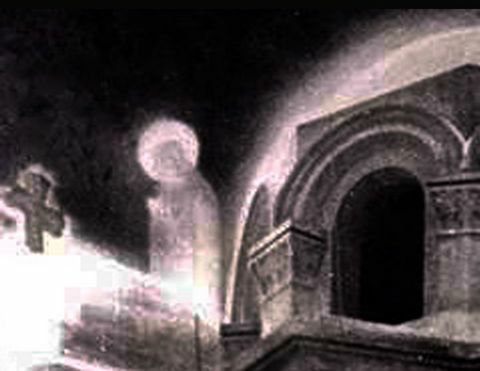 Occasionally, she would appear above or between the palm trees in the church courtyard, or emerge in a globe of light from either one of the four corner domes or other structures. A supernatural light takes the form of the Virgin Mary. Sometimes she would be seen with the infant Jesus cradled in her arms – or with St. Joseph and the Christ child at about age 12. A dazzling crown of light sometimes shone above her head, giving an impression of unearthly and sublime majesty. 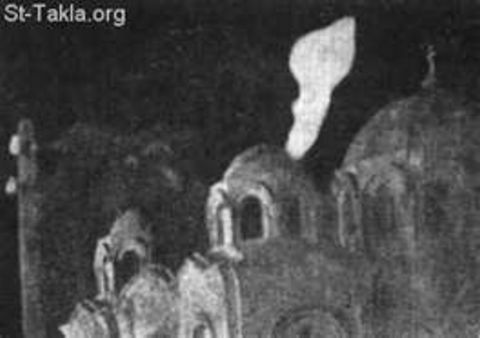 News of the apparitions spread like fire across Egypt, attracting multitudes of Christians, Jews, Moslems, other religions, and even disbelievers and atheists. 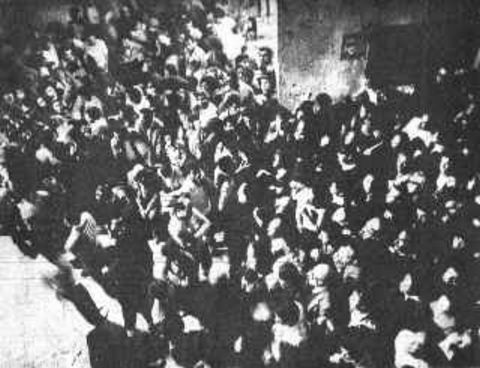 Within a few weeks, the crowds reached an estimated 250,000 people every night! These differing religions had all come together, praying together, singing together – in praise to Blessed Mary. She would acknowledge the massive crowds below, waving at them, holding out an olive branch – which would generate an ecstatic cheer from the masses. 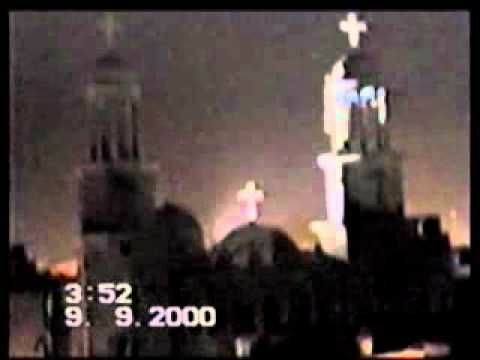 Two boys gaze at the Virgin Mary walking on the roof of the church! On another night, Bishop Athanasius attempted to approach the apparition of Mary from inside the church. He locked all the doors, turned off all the lights, and headed toward the roof. He had just seen her full figure on the roof when he had been outside just minutes before. As he approached the ladder to the roof from the second floor, he had an inexplicable experience. He started shaking uncontrollably – in fact, the ladder that he was on was also shaking hard. He felt frozen in his tracks, unable to move, and sensing that something unusual was very close by. The people outside were cheering that they could see her. He retreated back down and back outside to see that she was standing just 3 feet from where he had been! 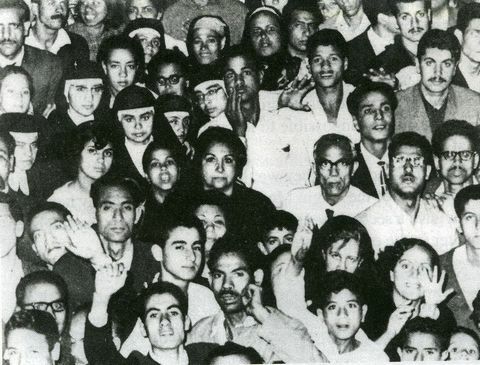 Diverse crowds of as many as 250,000 gather to see the apparitions. 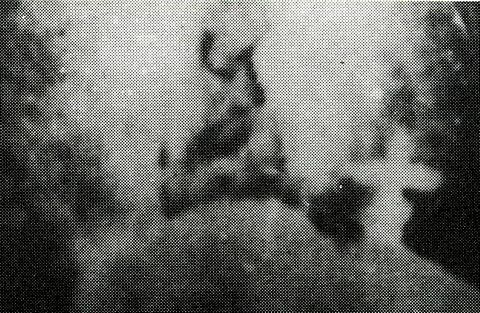 Pope Paul VI also sent two investigators to Zeitoun who saw the apparition with their own eyes as well. However, Rome does not have “jurisdiction” in Egypt as they have their own Pope and system, so no Roman Pope has to render any decision, judgment, or proclamation on an event in a Coptic Orthodox environment. 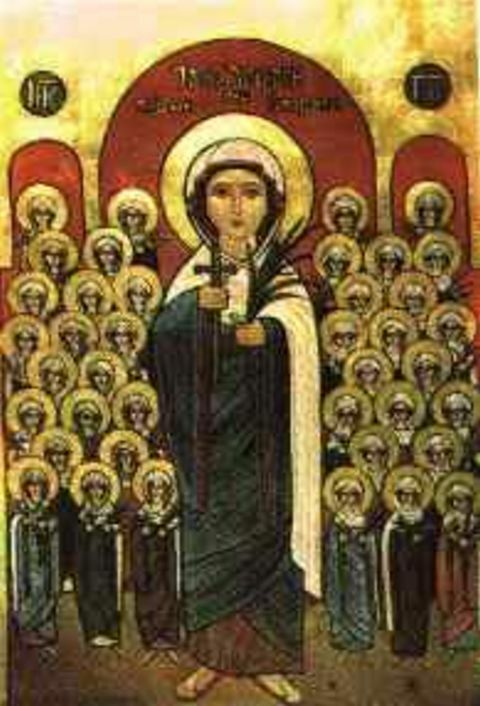 Similarly, the Copts felt it unnecessary to rule on Fatima in 1917. 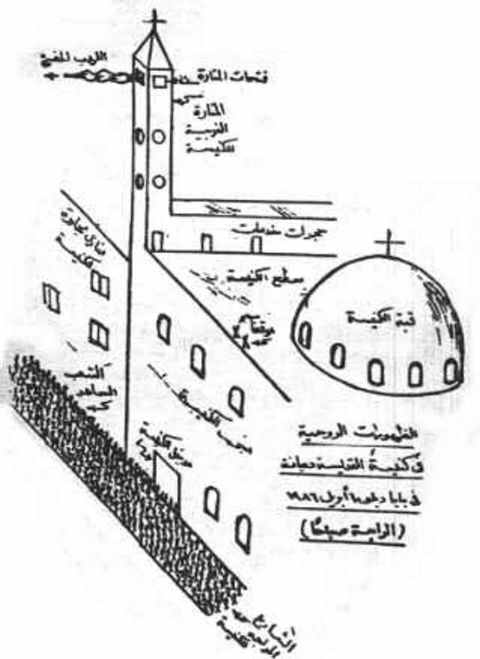 Nevertheless, the Vatican was intrigued and very interested in what was happening in Zeitoun! Making the church roof glow with an eerie light, the Virgin stops and prays. 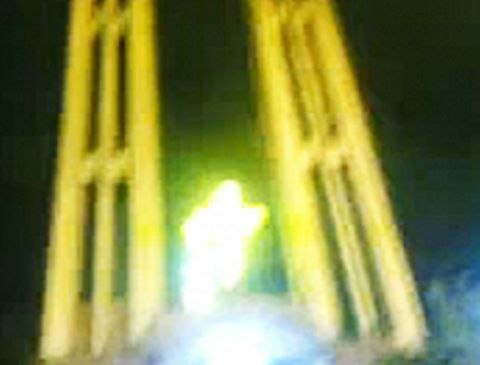 “Our Lady of Light” would often wave and bless the large crowds below. Often in a burst of light, she would appear out of what seemed to be nothing. A cloud that would form and become brighter and brighter – and eventually she would appear in this great illumination. Then, within this illumination, the outline of her figure would appear brighter and brighter. She bowed her head, moved her hands as to bless the multitudes, turned from side to side, and moved as if gliding on the church roof and domes. When she turned to move to the other side of the church, the back of her head could be seen. 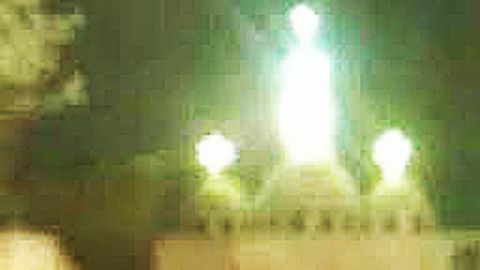 On some occasions she appeared to be ascending above the large dome into the sky. There were times when it appeared as if a door – a crack of light in the sky—would open, and she would “step out of heaven” or a “sanctuary door” – and then leave by the same means. Other times she would fade into a silhouette, then a cloud, and then disappear. Those who saw her features the clearest report a youthful, healthy-looking, beautiful lady with beautiful eyes, hair, and hands. At the time of her visits, most people became transfixed in wonder, amazement, or a state of ecstasy to the degree that all actions became impossible. Arms and fingers could not move to adjust cameras or take pictures. 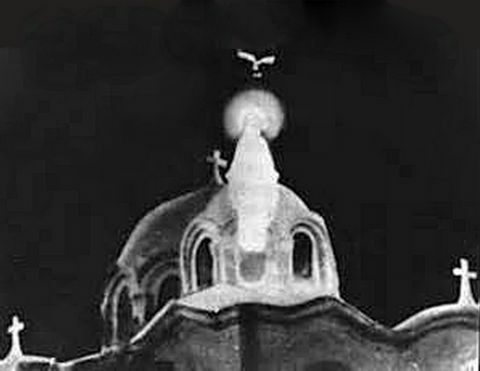 In a cloud of incense, Blessed Mary sits on a dome of the church. Blessed Mary cradles Jesus in her arms on top of the church dome. Numerous miraculous healings have been documented. Two girls, blind since birth, studying at a school for the blind, fully regained their sight. A 34-year old mute, Adel Abdel Malek, unable to speak since birth, was cured and able to speak. 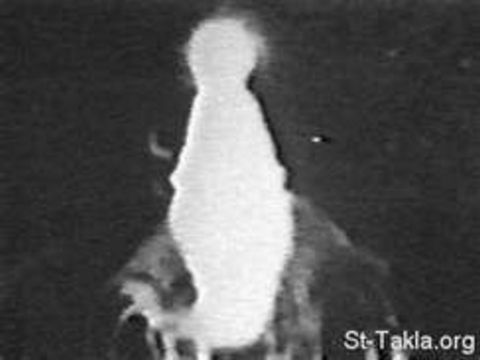 A Muslim girl with a malignant tumor on the side of her head visited an apparition of Mary at the church the night before her surgery and showed up the next day completely free of her tumor. Miss Madiha Mohammed Said, age 20, had lost her sight and speech, and had failed all medical efforts to improve her condition. On June 4, 1968, her two brothers took her to the church, asking the priest to pray for her. Suddenly, she cried out in a loud voice, “I see the apparition of the Blessed Virgin!” In that instant she regained both her eyesight and her power of speech. Cases of paralysis were cured – one woman arrived in her wheelchair at the church, felt burning electrical sensations, and then walked away. Authorities wanted to rule out any pranks, hoaxes, or clever light shows. Police searched an area up to 15 miles out from the church, extensively, for any kind of device that might create such an effect. 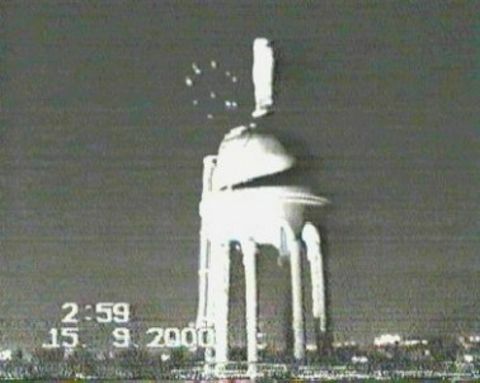 At one point they initiated a power blackout in the area so that nothing electrical could be possibly utilized to create these images. And the radiant Virgin Mary, her flying luminous doves, and the eerie heavenly lights continued to materialize just as brilliantly as ever during the power outage – much to the delight of thousands in the dark. Laser light shows were not in existence yet – and certainly could not have produced moving, three-dimensional images. Holography was in its infancy and could only produce a one-foot by one-foot, stationary, two-tone image at the distance of a half mile at the cost of $500,000 dollars. Mary was life-size and even larger, moving from one side of the church to the other, and in many different colors – reddish, yellowish, golden, blue, and white. Even careful scrutiny and computer enhancement of the photos taken indicate no trick photography whatsoever. This was before digital cameras, digital manipulations, and Photoshop were invented. In fact, color print film had just come out about four years earlier. Diverse crowds gathered for four years to see the Blessed Virgin. 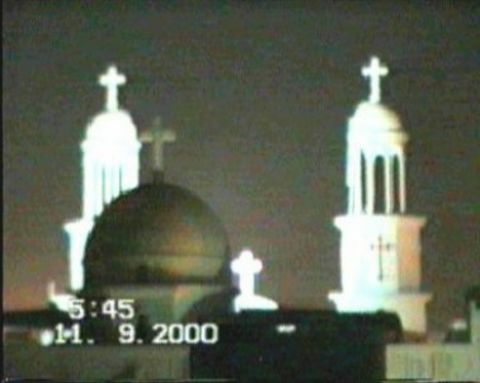 “The appearances have been witnessed by many thousands of citizens and foreigners belonging to different religions and sects, together with groups of religious organizations and scientific and professional personages and all other categories of people, who have proclaimed and announced their witnesses, confirming the certainty of the Virgin’s appearances – all giving the same particulars as to description and form and time and place, thus proving a whole agreement in witnessing that has elevated the matter of appearance above any doubt or any lack of proof or evidence. 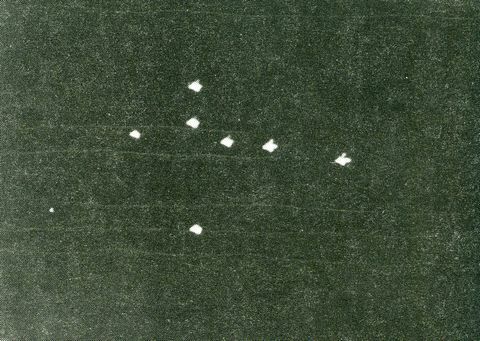 The strange glowing birds fly in the formation of a cross in the sky. There were several other encounters with Mary during these times worthy of reporting. Several high-ranking officials obtained a private story while visiting the home of one of the district’s leading Moslems. He admitted that he had been antagonistic toward visitors in the beginning because his house was near the church, and he would throw stones at them as they had to pass close by his house. He tried to call the police and have them arrested. But then, he said that Our Lady appeared to him and asked him why he behaved in this manner. She begged him not to continue in this fashion and commanded him to paint the sign of the cross on his house. Although remaining a practicing Muslim, he is now convinced of the authenticity of the visions and painted forty huge white crosses! A priest confirmed the validity of the following encounter with two doctors. These two Muslim doctors were traveling from Alexandria through the desert area of the Wadi-al-Natrun Valley into Cairo. There are monasteries located along this road. While driving along, they encountered a young lady walking along the road in the hot desert sun. They felt obliged to offer her a ride. As they drew near, they saw she was dressed as a nun. With the monasteries in the area they didn’t think of this as unusual. She accepted their generous offer, and as they were riding along, she questioned them about Zeitoun. 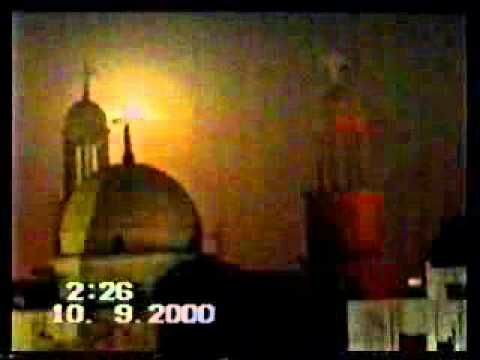 Did they know that the Virgin Mary was appearing there? Had they been to Zeitoun, etc.? They said, “No, we are busy men and Muslim. We would not go there.” As they came to the pyramid area, she asked to be let out – but not before convincing the doctors that they should visit Zeitoun. Upon questioning her, they learned that she was traveling to Zeitoun. They realized that they couldn’t leave her out in this area as it was a great distance to Zeitoun. They offered to take her there. When they arrived at Zeitoun, they turned to open the door for her to get out. People standing around the car by them then saw a dove fly out of the car’s back seat. The doctors became “mad men,” searching under the car and all around it for the young lady. All the people laughed at them and told them that there was no lady. Didn’t they see the dove flying out of the car? 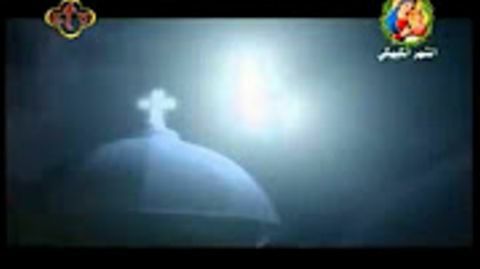 The Coptic Pope, Anba Kyrillos VI, approves the apparitions after 30 days. On Friday, April 14, 1972, forty people were traveling on a bus from Alexandria to the Coventry of St. Bishoi to baptize a baby named Mary. Written testimonies from three of the passengers, Mrs. Flora Abdel Malek (a doctor’s wife), Father Boctor Zaki (a pastor), and Mr. Aziz Soadalla (member of church committee) were sent to the national newspaper. The mother of the baby, Kathy Kapel Khalil, an architect, had died 5 months earlier and could not see her dream of this baptism become a reality. Grandfather Khalil took his daughter’s baby for this baptism to fulfill her dream. At a distance of 10 miles away from the Coventry, the bus broke down, and they had to find another form of transportation. The driver of a big truck agreed to give everybody a ride. After a while, they saw a nun in her uniform walking along the road, carrying her Bible. They were surprised to see her alone in such a deserted area where there were no other people or transports. Father Boctor asked the truck driver to stop and then invited the nun to join them. She came and raised her hand, saying, “Peace.” Father Boctor seated her next to the grandmother of the child and offered her water to drink, but she did not. Then he gave her an orange. She peeled it, but did not eat it. She gave it to the child who ate it all. When they arrived at the Coventry and got out of the truck, she stood in front of the whole group and raised her hand, saying, “Peace.” Then a bright light appeared, and suddenly she vanished – right before all of their eyes! Then they knew who she was! 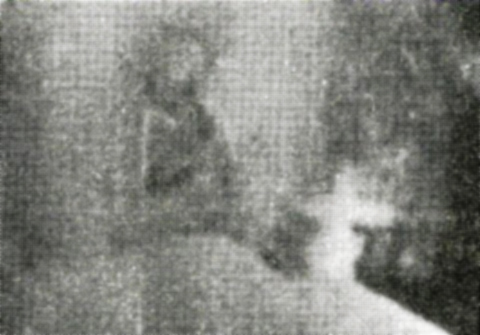 Pope Paul VI reviews the photographic evidence but cannot comment officially. 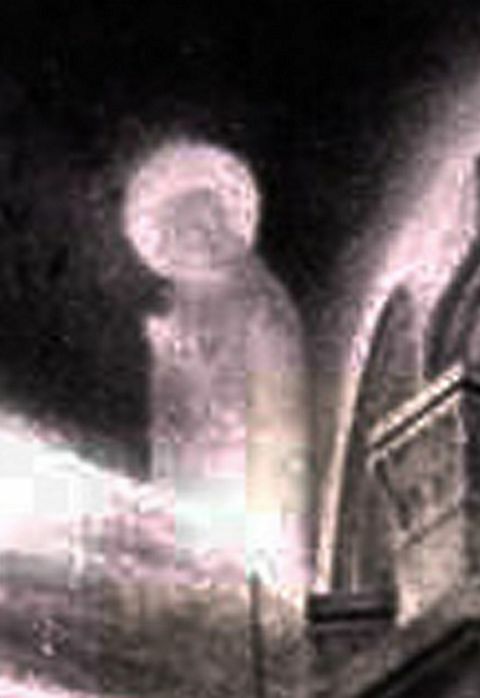 By early 1970 the frequency of the apparitions had diminished to an average of one per month. 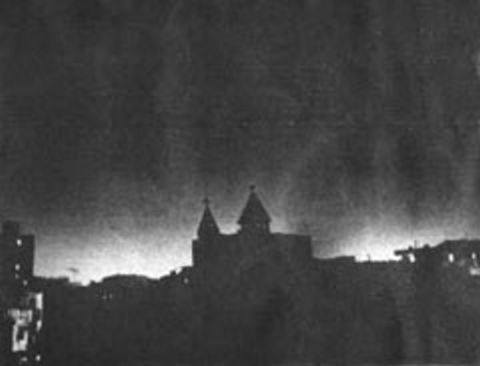 The last glorious and final public sighting was on May 29, 1971. Crowds thinned out over those years, but it is estimated that 3 out of every 4 Egyptians had seen her by now – many had numerous sightings. 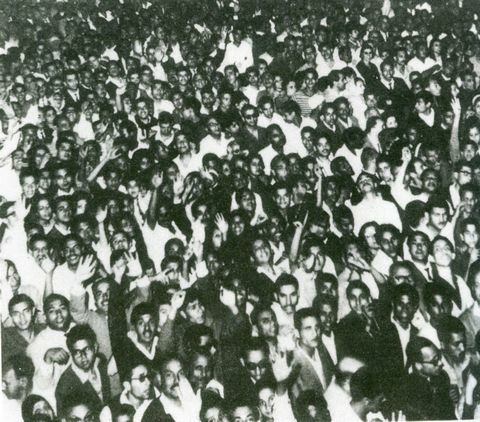 It is estimated that 40 million people encountered her heavenly presence – including President Nasser of Egypt! It is theorized that she never spoke or relayed any verbal messages due to the diversity of the crowds and varying beliefs. In this case, her image alone was truly worth a thousand words! Conversions and miracles continue to this day. And she would return to other parts of Egypt several more times in the next 30 years. 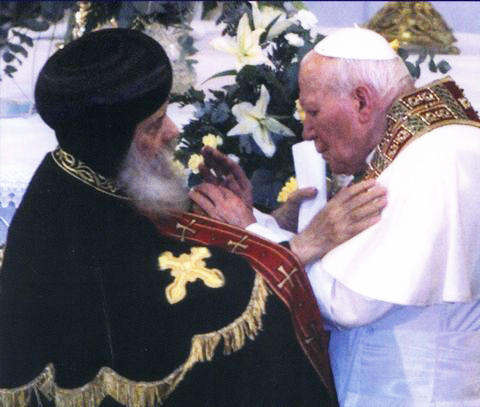 The Coptic pope welcomes Pope John Paul II in Zeitoun, Egypt.